Premium Collage and Scrapbook Software Giveaway from PearlMountain is for Thanksgiving Day with a limit of 20 Free license codes and lifetime support. 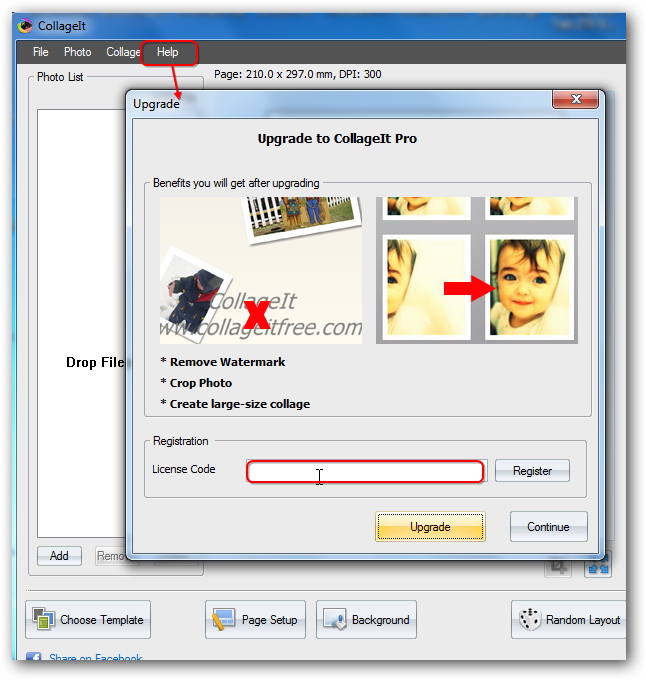 Someone via comments was complaining about NO Giveaway Since July last, this Premium Collage and Scrapbook Software named CollageIt Pro, which has been among the TOP 10 Photography APP on App Store and works both for Mac and Windows PC, will make him / her as well as other happy for sure. This Premium Collage and Scrapbook Software CollageIt Pro worth $19.90 and this Giveaway version has no difference with the purchased copy. Linux users like Ubuntu users can use emulation to run this software. So it actually works for all three Operating Systems. This Giveaway will be available before Nov. 23, 2012. That means from 1oth to 23rd, you can grab the Free license of this Premium Collage and Scrapbook Software from us. Simply add your photos to your collage; using œRandom Layout to generate layout automatically and customize collage; then export and share your collage. Various kinds of Layout; and diverse templates. Download the software from our Akamai CDN, it is SSL URL and far safe and advanced storage platform than your beloved CNET. We flash the container after 23rd, so the links will not work after 23rd. No head no headache. See the screenshot. After installation, you will get the basic free version. Click Help and click Upgrade. Paste the License Key there and click the button. Name : <span style="color: #ff0000;">Your Full Name</span> Email : <span style="color: #ff0000;">Your email which will be used to register the software and contact you</span> Website : <span style="color: #ff0000;">If you have one, else leave it blank</span> Your message Subject : <span style="color: #339966;">Request for CollageIt License</span> Message : <span style="color: #339966;">Please Provide me one License of CollageIt. I agree that I will not abuse it, </span> <span style="color: #339966;">I will not distribute through illegal websites, torrents etc.</span> <span style="color: #339966;">I have posted your link on</span> <span style="color: #ff0000;">Twitter / Google Plus / Facebook (one only)</span> and here is the screen shot : <span style="color: #ff0000;">http://screenshot-url.png</span> Thanks. When 20 Licenses of this Premium Collage and Scrapbook Software will end we will give a notice here. The reason to this new way is, someone ripped a developer company for another Giveaway software by uploading it to mediafire like site. This Article Has Been Shared 5762 Times! Cite this article as: Abhishek Ghosh, "Premium Collage and Scrapbook Software Limited Number Free Giveaway," in The Customize Windows, November 10, 2012, April 21, 2019, https://thecustomizewindows.com/2012/11/premium-collage-and-scrapbook-software-limited-number-free-giveaway/.